We offer crisis intervention, guidance, support and referrals. We meet with patients and their families at the practice, talk with them by phone, or meet in their home if appropriate. We can help make a plan to find the right solutions. The practice of case management varies greatly across social work settings and is even more diverse as applied by other professionals. Despite this diversity, several elements distinguish social work case management from other forms of case management. Social work case management is a method of providing services whereby a professional social worker assesses the needs of the client and the client’s family, when appropriate, and arranges, coordinates, monitors., evaluates, and advocates for a package of multiple services to meet the specific client’s complex needs. 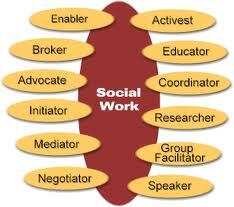 A professional social worker is the primary provider of social work case management. Distinct from other forms of case management, social work case management addresses both the individual client’s biopsychosocial status as well as the state of the social system in which case management operates. Social work case management is both micro and macro in nature: intervention occurs at both the client and system levels. It requires the social worker to develop and maintain a therapeutic relationship with the client, which may include linking the client with systems that provide him or her with needed services, resources, and opportunities. Services provided under the rubric of social work case management practice may be located in a single agency or may be spread across numerous agencies or organizations. contributing to the development and improvement of social policy.